Connecticut Wedding Group was born from the idea that planning your wedding shouldn't be stressful but relaxing, exciting and fun. We took the most interesting and unique venues, the best local ingredients, and the most exciting planning options and combined them with the talent, experience and passion of the catering team. The Connecticut Wedding Group creates the most fabulous, fun and easy to plan weddings in Connecticut! We are proud to feature venues such as The Barns at Wesleyan Hills, The Pavilion on Crystal Lake, Lyman Orchards Golf Club, and The Wadsworth Mansion all located in the heart of Middlesex County in Connecticut. Connecticut Wedding Group is proud to be the exclusive caterer at this unique and historic venue. This English style barn, has become one of Connecticut’s most sought after venues for weddings. There is simply nothing quite like the Barns at Wesleyan Hills. Sweeping views of our majestic willow trees, pond, islands and fountain create a perfect ceremony location and our 140 year old barn lends a very special vibe to your event. The Barns at Wesleyan Hills has been featured on “Say Yes To The Dress,” and was featured as the Country Dream Wedding venue in Disney’s Fairy Tale Weddings by David Tutera. The newly redesigned Pavilion on Crystal Lake is the perfect choice for the bride that wants to relax in a friendly, comfortable and fun environment. Being the exclusive caterer at this beautiful lakeside property we get to enjoy watching brides celebrate all year long. Featuring a beautiful outdoor ceremony site, spacious deck and entire wall of picture windows overlooking sparkling Crystal Lake, the Pavilion on Crystal Lake offers stunning views and outstanding value. There is no better view of the ever changing New England landscape! This venue was featured nationally on the Tyra Show with David Tutera. Adding to our story, we have the local history of Lyman Farm! By celebrating your wedding at Lyman Orchards Golf Club with Connecticut Wedding Group you get to experience the very best this authentic New England destination has to offer. You can relax and prepare for your ceremony in the historic Lyman Homestead, built in 1863, exchange vows in the beautiful Apple and Peach Orchards that boast a panoramic view of the Connecticut River Valley, and dance the night away in our 4000 square foot tent overlooking the Robert Trent Jones championship golf course. 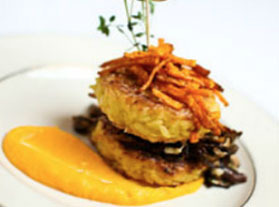 Being the local caterer for this historic mansion adds a touch of elegance to our array of venues. Fashioned after the Newport “cottages,” this mansion was the residence of Colonel Wadsworth. There is truly no other place like it in Connecticut with the combination of old world elegance, sprawling lawns and gardens, and unique design. Facility rental is through Wadsworth Mansion. 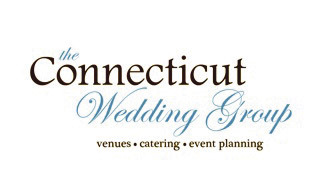 Connecticut Wedding Group is excited to have recently received the Wedding Wire’s Bride Choice Award, The Knot’s Best of Weddings, and to be nominated for the Connecticut Restaurant Association’s Caterer of the Year and the Catersource ACE Award!